The US Congress provides funding to the Cochran Fellowship Program to provide training for emerging market countries. The goal of the program is to reduce non-tariff barrier disruptions between countries. 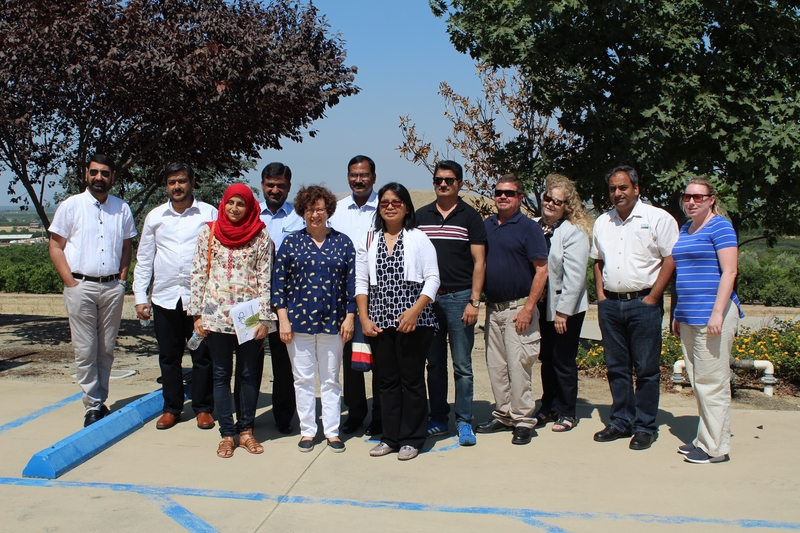 Visiting from Pakistan were 6 scientists, administrators and members of private industry and accompanied by USDA representatives. This particular group is studying Phytosanitary compliance in fresh produce supply chains of apple, papaya and citrus. Lindcove provided lectures by Dr. Beth Grafton-Cardwell on LREC facilities and integrated pest management of citrus, Dr. Rock Christiano described the Citrus Clonal Protection Program and Donald Cleek demonstrated the citrus fruit grading system. Leading the tour was John Loyd, USDA Trade Specialist.